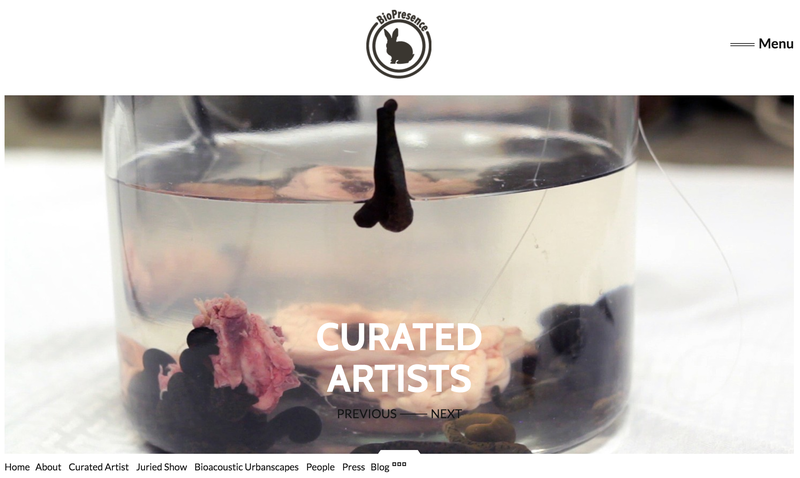 BioPresence was a themed, new media art exhibition that included animations, robotic art, internet art, tactical media, sound artworks, maps, digital art, installation, video and algorithmic approaches to sensing and representing non-human beings. 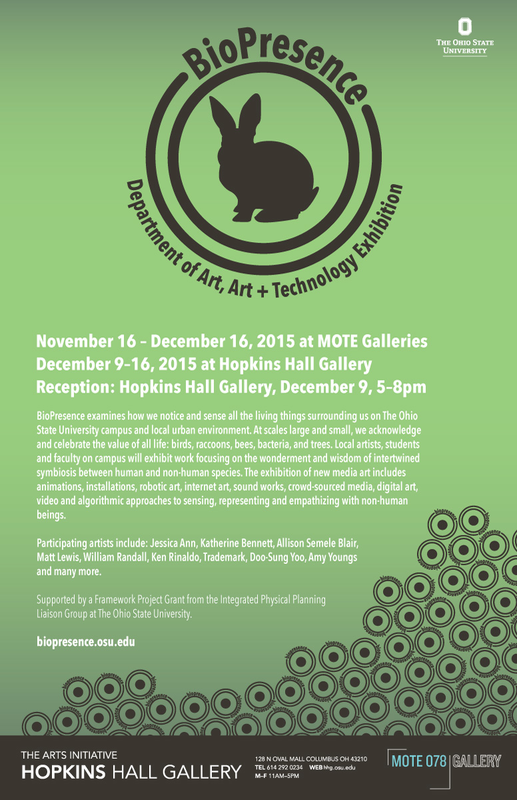 It was held at the Ohio State University main campus and the Mote Galleries on High Street, in Columbus, Ohio, November 16, 2015 through December 16th. A listening room was included for audio artworks selected for the juried show: BioPresence – Bioacoustic Urbanscapes. 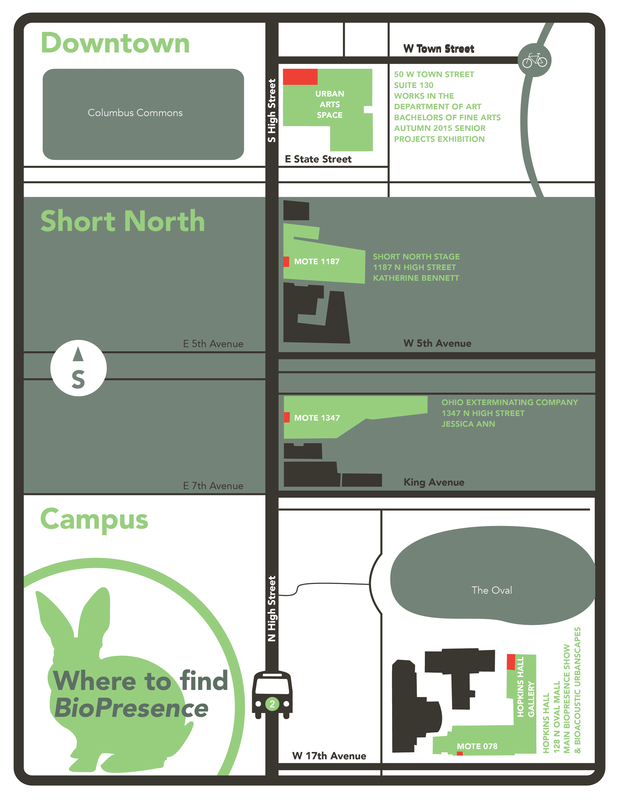 Opening celebration 5pm – 8pm, Wednesday December 9th in the lobby of Hopkins Hall. Participating artists included students in Art and Technology courses, international audio artists and local artists in Columbus, Ohio, including: Jessica Ann, Katherine Bennett, Allison Semele Blair, Matt Lewis, William Randall, Ken Rinaldo, Trademark, Doo-Sung Yoo, Amy Youngs and many more. Learn more about the BioPresence #AnimalOSU project and the people involved.